Property for sale ads in Sunshine Coast. Thank you for visiting our free advertising website Property for sale, Sunshine Coast section. We provide high response free classifieds and free advertisement. Use our online free Property for sale classifieds placement system to find, list, offer Property for sale online! With 30 years experience in the building industry, Classic Kit Homes Australia can deliver quality kit homes worldwide. We custom design most of our kit homes and often use a client's own plan to deliver unique and beautiful homes. We proudly offer phone and email support to all clients during the planning and construction phases and all our homes come with guarantees and warranties that you would expect from a national supplier. 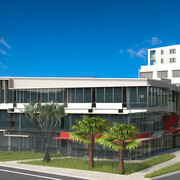 Commercial Office Maroochydore offers you best deals in property or if you want on lease. we will provide offices , restaurant and houses for rent and lease. Emporio includes architecturally designed office accommodation designed to attract local, national and international business – unlike anything currently offered on the Sunshine Coast Property For Sale. Sunshine Cove offers the finest Property for Sale in Sunshine Coast. It has a range of home sites available including terrace, laneway and villa style allotments. Please visit : www.sunshinecove.com.au. Seize the opportunity to own your part of prestigious Rainbow Shores. 36 Lodges (12 in Stage One) are located less than 300 metres to the pristine surf beach and feature: three bedrooms, two bathrooms and a single carport. Starting from $465, 000, the Lodges are modern beach houses nestled within a Resort setting which boasts a 20 metre lap pool, outdoor spa, landscaped gardens and a professionally equipped gym. Imagine over 200 km of coastline with long, sandy beaches; untouched, natural forests rising into scenic mountains, dotted with picturesque hinterland and coastal towns, with a climate that encourages outdoor living all year round. Awesome, fun and relaxation all in one package, not to mention the view. this land is situated in Pertaka St. One of very few left in the area. Ocean views. 750 Sqr Metres in area Level home site, gently sloping toward the rear. Private sale direct by owner.. Solid House on 20 acres of good soil land, just 10 minutes drive to center town. Has : lounge, dining, family room.4 bedrooms , main with ensuite , 1 main bath + extra shower.2 cars garage, big shed . Water rights.Exellent for crop or cattle. Needs some TLC but very big potential ! Price reduced from $415000 to $379000 for quick sale due to new project. Walk to golf course, 4 B/Rm 2 B/Rm air conditioned, solar powered home, set in Parklands area, surrounded by Tewantin National Park. Close to Schools, Shops on main bus route. Drive to Noosa River & Restaurants in 5 mins. Large easy care block, room for pool, side entrance for boat or caravan. Large living/entertaining areas, covered back patio with built in gas BBQ. Six bedroom, three bathroom two kitchens, two-story spacious home with coastal views on secluded two and half acres of forest in a private estate. The property also has a pool and well maintained gardens.. Houses for sale Sunshine Coast. 3Br House Set on 3.25acres 10ft Ceilings, Hardwood Floors. 15 min west of Bruce Hwy / Eumundi, 35 mins to Noosa. Lovely Pice of Local History. Great Location, Convienent & Peaceful..
Australia free ads for Property for sale, Sunshine Coast, Property for sale free ads Sunshine Coast, Property for sale for sale Sunshine Coast, Property for sale to buy in Sunshine Coast. Find on this page free classifieds for Property for sale in Sunshine Coast. This listing includes classifieds for sale and to buy in Sunshine Coast. FREEADSAustralia Sunshine Coast offers you a platform to post free advertisements or classifieds for Property for sale in Sunshine Coast. FREEADSAustralia helps you search, find buy, sell, rent or hire in various categories like apartments, goods for sale, local services, cars , jobs and many more in Sunshine Coast. If you posted an advertisement in category Property for sale of FREEADSAustralia Sunshine Coast before please use Edit my ads button to change or cancel your ad. Property for sale Sunshine Coast ads Sunshine Coast, Property for sale classifieds Sunshine Coast, Property for sale free ads Sunshine Coast, ads for sale Sunshine Coast, ads to buy Sunshine Coast, FREEADSAustralia. Find here ads for sale, to buy and rent in Sunshine Coast. Goods for sale in Sunshine Coast, vehicles for sale in Sunshine Coast, Sunshine Coast real estate for sale, Sunshine Coast property for sale, property for rent in Sunshine Coast, business ads in Sunshine Coast, Sunshine Coast business classifieds, services in Sunshine Coast, Sunshine Coast services ads, jobs in Sunshine Coast, pets for sale in Sunshine Coast, Sunshine Coast dating, Sunshine Coast cars for sale.